Clarke Auction Gallery, of Larchmont, NY, held a diversified auction on April 15, 2012, with a number of high quality lots. 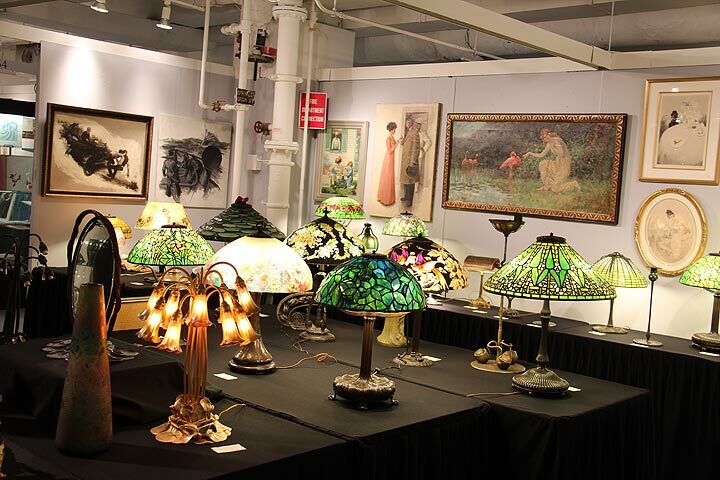 The auction went well, with a rare Tiffany Studios chandelier leading the way. 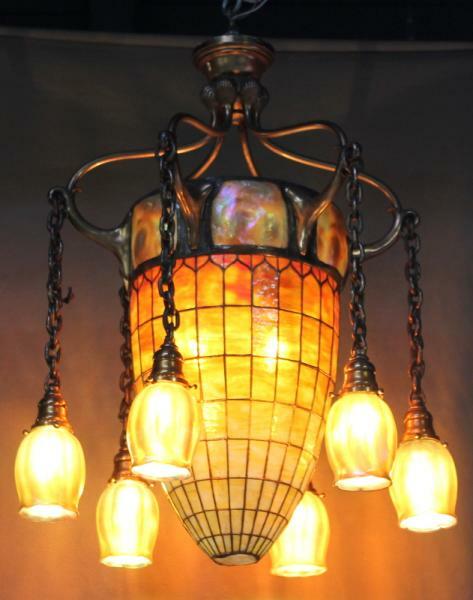 The chandelier came from a local Garrison, NY home, where it had hung for 30 years. It was a fancy variation with a row of turtleback tiles at the top and six suspended tulip shades. By auction day, the stage was set for a good show. The chandelier was fresh to the market, high quality, fairly estimated, and well advertised. It should have sold well, and it did. After spirited bidding from the audience and the telephones, the chandelier easily exceeded its pre-sale estimate of $60,000 – $80,000 to sell for $102,000, including buyer’s premium. I wouldn’t be surprised if it sold to a dealer, because it’s worth $150,000+ to the right buyer. 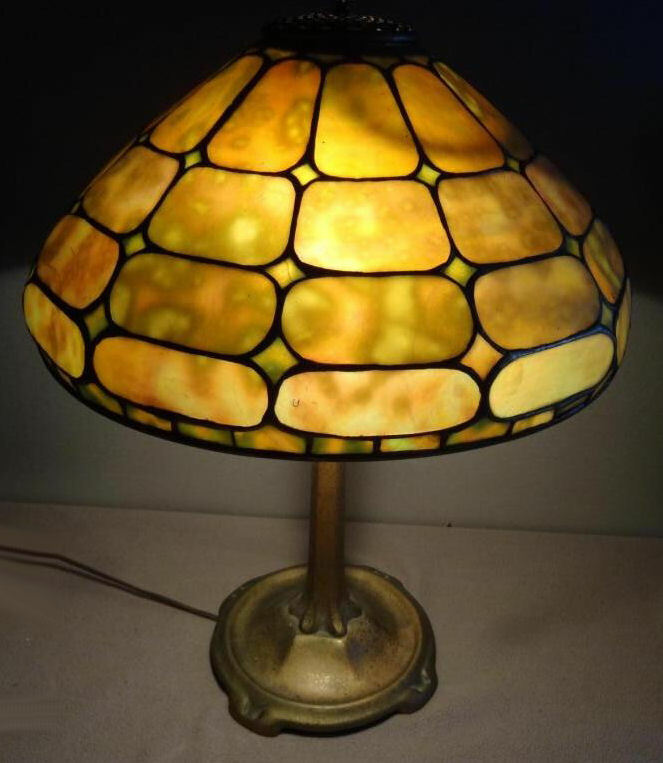 Also in the sale were several more Tiffany Studios items, including a 16″ diameter Tiffany Studios Colonial table lamp. It sold for $9,600, including buyer’s premium – a high wholesale price. 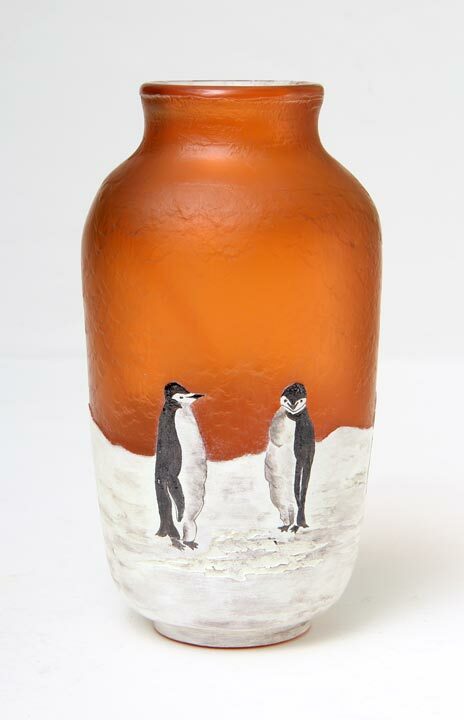 Also in the sale was a fine, large, Art Deco Camille Fauré enamel on copper vase from France. In keeping with the strength in the Fauré market the last few years, it sold for $5,760, including buyer’s premium — another high wholesale price. For a review of the highlights of the sale, click on the following link and scroll down the page. Clarke Auction Gallery highlights. Sotheby’s New York held its Impressionist and Modern Art Evening Sale on May 2, 2012, with fabulous results. The big news for the evening was the sale of the world’s most valuable single work of art, Edvard Munch’s iconic painting, The Scream. Pre-sale chatter suggested the price may reach $80,000,000. That was blown away, when the painting sold for $107,000,000 at the hammer ($119,922,500, including buyer’s premium). Sotheby’s produced an interesting 2½-minute video with highlights of the painting’s sale, which can be viewed by clicking on the following link. Sotheby’s video. The auction was a barn-burner, with total sales reaching $330,568,550, the second-highest total for any Sotheby’s auction ever. Only a few paintings did not sell. Surprisingly one of them was by Edvard Munch, entitled Sommernatt, (Summer Night). It was offered as lot #41, with an estimate of $2,500,000 – $3,500,000. 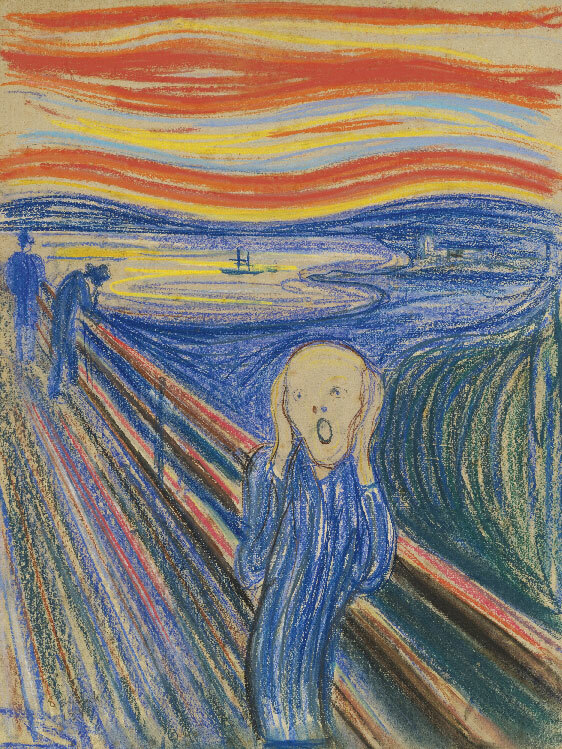 But let’s not feel bad for Munch – four additional paintings by the artist sold in the auction. Honors for second place went to Pablo Picasso. 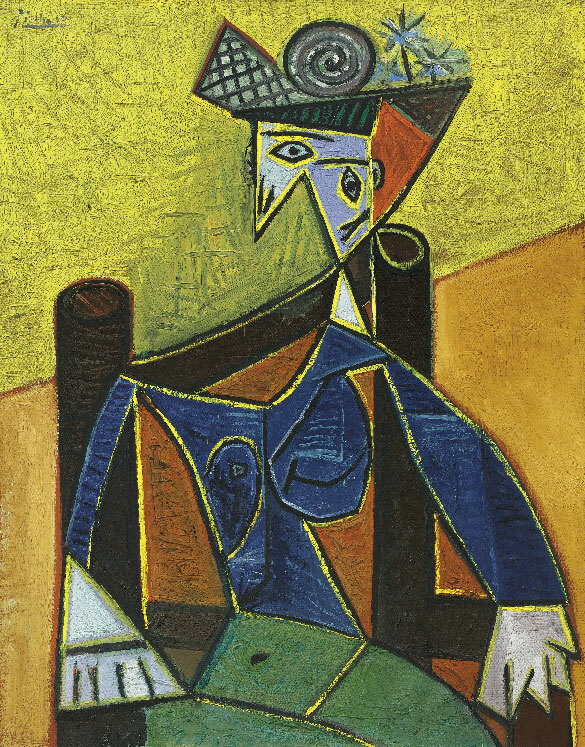 His Femme Assise Dans Un Fauteuil sold for $29,202,500, against a pre-sale estimate of $20,000,000 – $30,000,000. For the complete results of the sale, click on the following link. Sotheby’s sale results. 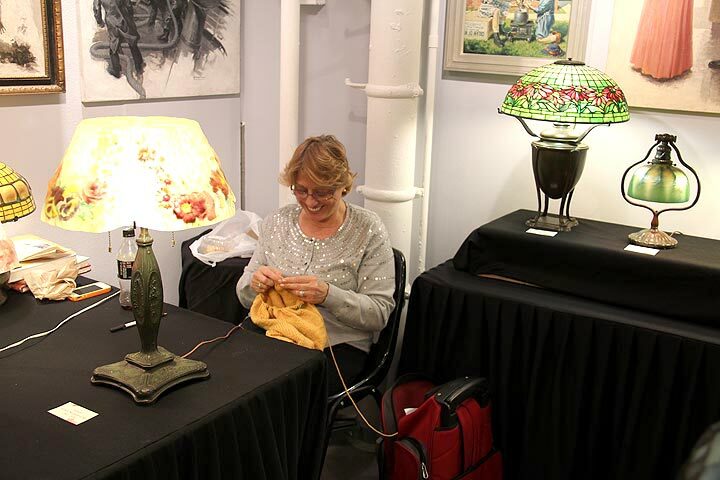 The Merchandise Mart show didn’t end until Monday, so this week’s blog was postponed until Tuesday so I could report final results. Consequently, there will be no Thursday post this week. This was an interesting show. There were substantial differences between my expectations and the results. A few weeks ago at the NYC Pier Show there were lots of new people and real action that I thought would carry over to the Chicago Mart show. But it didn’t. New York seems to have recovered from the recession sooner than Chicago. There were fewer people attending than some past years and many dealers saw less business. Here are a few results. Personally, my show was superb — the best show I’ve had at the Mart. 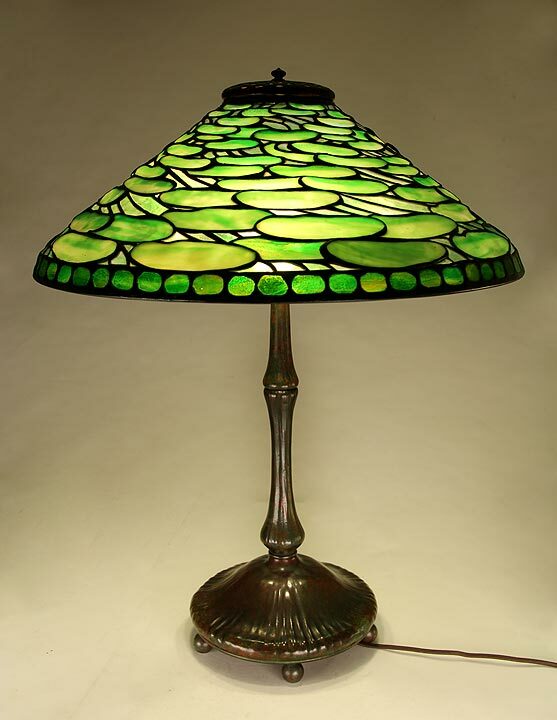 Sales were best in Tiffany lamps and glass, Daum Nancy French cameo glass, Icart etchings and illustrator paintings. 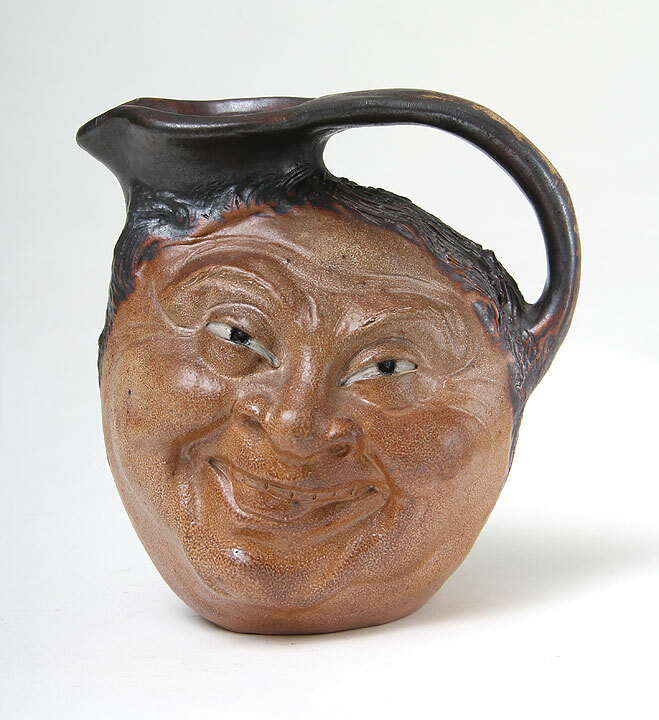 American art pottery was slow, as well as some of the other usual suspects, like art glass shades. Most of my business came from my very loyal clients (thank you, thank you, thank you). I was gratified to see some interest and sales coming from new blood. In asking around, I heard results from “poor” to “great”. What I did notice is that many of the dealers who did well are good business people. They know what to buy and how to sell. The merchandise doesn’t jump off the shelves into the client’s hands — it has to be sold. That doesn’t mean being unscrupulous, it just means convincing a client that they would be better off buying than not. OK. Here’s some of the scuttlebutt. One silver dealer did very poorly — not sure if they even opened their books. Another silver dealer did fairly — they made their expenses and a little bit more. A major diversified dealer told me he covered his expenses (very high because of a huge booth) and earned a little because of a big jewelry sale. 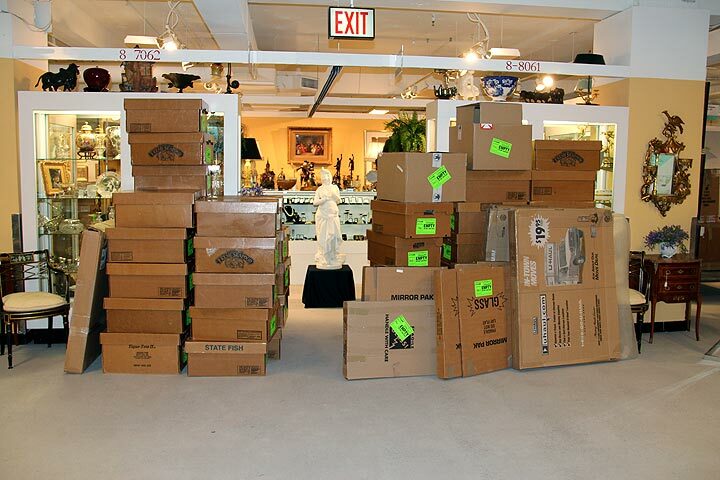 Another diversified dealer did very well — they have great items and know how to sell. A dealer in Russian items only did OK. A dealer in furniture and bronzes was contemplating not returning until he made a major sale on Monday. I’m happy to say he’s returning. I did hear of a few dealers who did poorly and will not be returning. A first time diverse dealer at the show who sells a lot of jewelry was one of the people who told me his results were “great”. You know he’s coming back.